The saying goes “If you bought it, a truck brought it”. Trucking is a crucial part for the United States, especially when 80 percent of all goods are transported in this fashion. With the growing economy, the purchase of products will continue to rise in turn, creating more jobs for the trucking industry. The Beauru of Labor Statistics shows a 21 percent growth in the trucking industry through 2020. This is great news for Chicago based RealWheels Corporation who has been designing and producing stainless steel wheel covers, stainless steel axel covers, grilles, billet aluminum door handles, billet pedals and other accessories for commercial trucks and specialty vehicles for over 35 years. RealWheels Corporation is the only American manufacturer of these wheel accessories. While competitors have turned to China to cut cost, RealWheels has remained US based, relying on employee dedication, innovation, efficiency and quality to remain competitive. It all started when Jan Polka, the founder and president of RealWheels, decided to dress up his Kenworth truck’s cast spoke wheels. He grabbed some sheet metal, headed to a shop to cut, formed and chrome some mag wheel covers. These updated wheels were such an improvement, that other truckers started asking where he got them. Shortly after that first set, Jan and his wife, Sherri, started RealWheels Corporation, manufacturing wheels covers out of their garage. The demand continued you to grow and so did the company. Today RealWheels operates in a 40,000 sq. ft. facility in Gurnee, Illinois with a team of 60 employees which includes the Polka’s two sons, Cory Polka, the Plant Manager, and Greg Polka, the General Manager and Salesman. Contract Manufacturing also plays a key role in the success of RealWheels. “We realized this was a unique opportunity to add value for our customers,” stated Greg Polka. This led RealWheels to introduce their IDEA Division in 2010. IDEA, which stands for Innovative Design Engineering Applications, has led to a boost in projects from their current customers and opened the door with new customers. 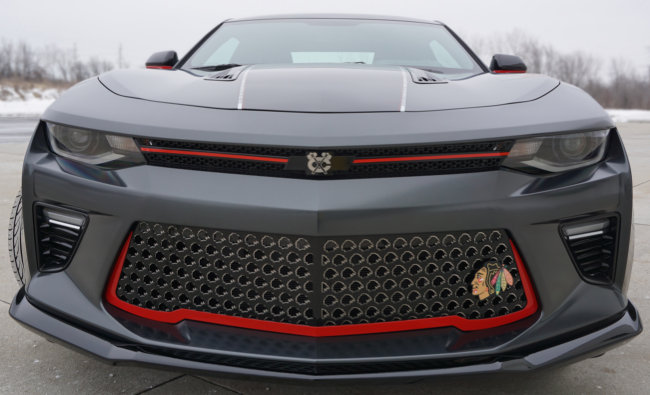 Because of this division, which handles custom grilles, fenderettes and specialty components is also responsible for projects such as Criss Angel’s custom ‘Midfreak’ H2 Hummer which was on display at SEMA in 2006, and the now famous collection of Chicago Blackhawks Chevrolet Camaros. 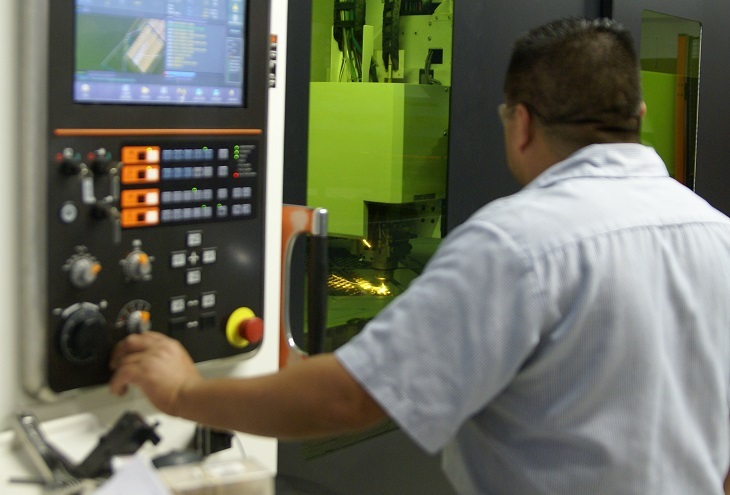 RealWheels was using a previously owned Mazak CO2 laser machine, but they realized they needed a faster and more efficient solution. RealWheels started their search looking for a new CO2 machine but when they saw the fiber lasers, they knew that was what they truly needed. The benefits of fiber technology was what really stood out. 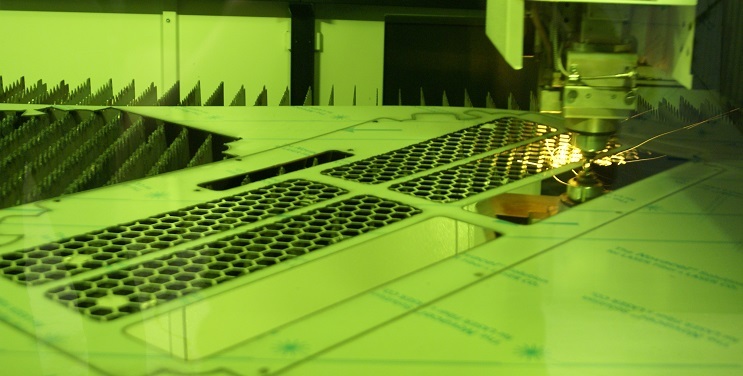 The fiber laser offered a wide range of cutting capabilities, higher cutting speeds, all while using less consumables, making a fiber laser the perfect solution. RealWheels did extensive research and looked at a variety of different laser manufacturers but they had strict requirements that left suppliers behind. RealWheels was interested in having automated features to make setup quicker. “We were looking for automatic nozzle changing and automatic focus to give a quick transition when switching materials,” Cory Polka explained. While some manufacturers only offered 3kW, RealWheels needed 4kW power to have the capabilities to process thicker materials for their IDEA Division. Another requirement multiple manufacturers lacked was a ball transfer. Jan Polka clarified, “We work with a lot of stainless steel and without a ball transfer the material could easily become damaged. Our customers will notice even the slightest scratches”. The final requirement RealWheels had was an advanced laser cutting torch with more versatility for all material gauges. RealWheels found the perfect fit with the OPTIPLEX NEXUS 3015 Fiber at an economical price point while meeting all of their requirements. The OPTIPLEX NEXUS 3015 Fiber has a side door for easy access into the machine, a pallet changer to increase throughput, ball transfer to keep the stainless steel scratch free and the advanced Mazak Multi-Function Torch. What really makes The OPTIPLEX NEXUS 3015 Fiber stand out are the Intelligent Setup Functions and the Intelligent Monitoring Functions. The Intelligent Setup Functions include auto nozzle changing, auto focus position, focus detection, auto profiler calibration and auto nozzle cleaning. The Intelligent Monitoring Functions comprise of pierce detection, plasma detection, and burn detection. These intelligent functions can dramatically simplify operations and automatically adjust cutting parameters to increase the quality of parts and overall throughput. With the delight of purchasing their new OPTIPLEX NEXUS 3015 Fiber, RealWheels made an announcement to their current customers about their latest upgrade. “The new machine buzz got our customers very excited, so excited that they started sending in their drawings before the machine was even installed,” said Jan Polka. Since the installment of the OPTIPLEX NEXUS 3015 Fiber in March, RealWheels has generated more jobs than ever before. 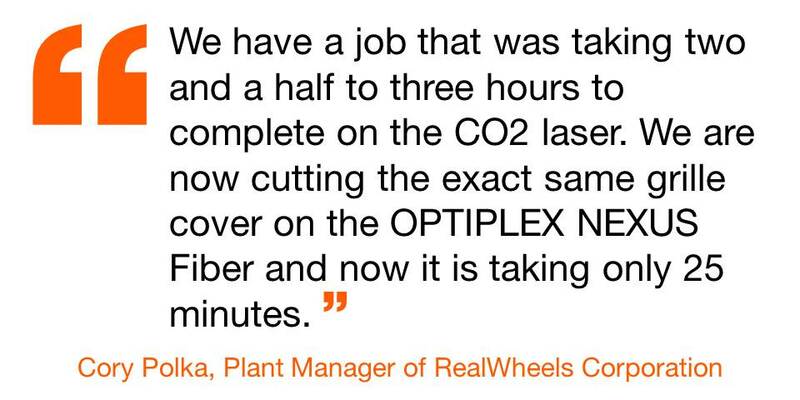 Now that RealWheels has the OPTIPLEX NEXUS 3015 Fiber laser, they are running their operations more efficiently, which allows them to give more competitive pricing to their customers. Cory Polka stated, “The Mazak fiber laser is a work horse. The laser processes 85 percent of all our products”. RealWheels is also able to completed jobs quicker since the OPTIPLEX NEXUS 3015 Fiber is faster with increased throughput. Specifically, “We have a job that was taking two and a half to three hours to complete on the CO2 laser. We are now cutting the exact same grille cover on the OPTIPLEX NEXUS Fiber and now it is taking only 25 minutes,” explained Cory Polka. They have another job, a wheel cover, which was taking 11 and half minutes and now is only taking a minute and half to complete on the fiber laser. Previously, RealWheels was taking finishing steps which have now been eliminated. Their operators are now able to take the laser cut pieces from right off the pallet straight to their second step of forming or welding. “The OPTIPLEX NEXUS Fiber has given us, as a company, the confidence that there is no job we can’t compete in. We know our equipment can do the work and give high quality results,” stated Jan Polka. Due to the results of the OPTIPLEX NEXUS 3015 Fiber, “our business opportunities have grown leaps and bounds,” said Jan Polka. He explains, “We have been up and running with the new fiber laser since March and we have received lots of new work. Because of the OPTIPLEX NEXUS Fiber, our future is so much brighter”. Article seen in August 2016 issue of MetalForming Magazine.